New York City-based securities trading hedge fund Clique Fund on Tuesday borrowed $10 million in stock using the Bitcoin blockchain, reported Wired. The hedge fund used Overstock.com’s new, in-beta operation, TØ.com, to borrow shares in the 30 stocks that constitute the Dow Jones Industrial Average. TØ.com is a majority-owned subsidiary of Overstock.com. TØ refers to the fact that trades on the platform securely settle on the same day, rather than three days later, what Wall Street traders call “T+3.” Overstock stated in a previous press release that the TØ.com technology uses the Open Assets protocol. Previously, TØ.com has been used to issue a private bond. 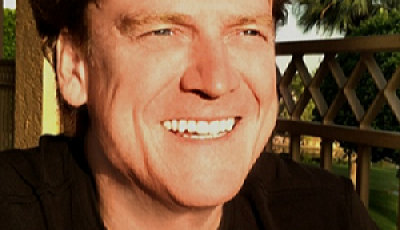 The bond was issued to Overstock.com CEO Patrick M. Byrne, who, together with John Tabacco, founded TØ. A second, mostly symbolic bond, was issued to an outside company known as FNY Capital. The Clique Fund trade is the first significant, or as Tabacco puts it, “real” bond trade with blockchain. Wired reported that according to Tabacco, TØ has been facilitating stock loans for the past two weeks, with five different customers borrowing stock, including Clique Fund. In a press release issued today, TØ.com announced it had effectively completed another production beta test of its TØ software, by successfully using the Bitcoin blockchain to record evidence of compliance with SEC Regulation SHO before a trader can engage in a short-sale. TØ said in the press release that when fully functioning, a platform running the TØ software and the information being recorded on the blockchain, will carry exceptional levels of transparency and fairness to the otherwise opaque world of stock lending.